University of Nottingham > Blogs > Knowledge Without Borders > Globalisation > Up Close and Personal! This post is a longer version of an interview with KWBN’s Sean Matthews for the British Council’s ‘Up Close and Personal’ column in the Education Intelligence newsletter. The full interview can be accessed here. EI: What is your favorite conference and why? SM: I realize it’s a bit of a cliché, but I’d say either the last one, or, as it approaches, the next one. I’m lucky in that my academic and professional interests allow me to attend quite a variety of conferences! I thought APAIE this year was very strong, with some really excellent panels across a range of topics – and Seoul is of course a really great place (I’m very partial to Korean BBQ). On the professional side, I learnt about things that I knew nothing about, as well as deepening my knowledge of things I should know about – Sonny Lim (Rice) led an excellent session on the HEFEI Declaration; I was really impressed by the very practical panel brought together by Gary Rhodes (Director, Centre for Global Education, UCLA) about managing and supporting student experience of mobility and exchange (with a wealth of great, free resources); and the British Council Education Intelligence presentation was certainly a highlight, above all because it was so strongly data-driven, sharing more from the wealth of statistics which are behind the recent ‘Megatrends’ report (I’m not just saying this because this piece is in Education Intelligence, honest!). I was on a couple of panels myself, both of which I also found really interesting – I did a little blog about one of them, a ‘Nottingham’ panel that was exploring the challenges and opportunities involved in collaboration in the Asia Pacific region. APAIE, like AIEC and QS Apple, is such a good event because it has such a good range of news and information; practical and professional updates; some keynote thinking/’horizon scanning’ about trends and issues – as well as, always, the chance to catch up with colleagues across the region, and meet and network with new contacts – this year I was particularly pleased (at last!) to have the chance to talk with the British Council Education Intelligence team. Immediate outcome – Up Close and Personal! But I’m also off to Gargnano, in the Italian Alps, for the 13th International D.H. Lawrence Congress, in June so that is already becoming my new ‘favourite conference’. Quite apart from regularly taking place in stunning venues (Lawrence did find himself in some awesome places), Lawrence events always remind me of why I wanted to be an academic in the first place. It’s a very special community of scholars, strong and supportive, and Lawrence’s work remains so vibrant and diverse and, frankly, relevant, that it is always a pleasure to tug myself back into that world. This year I’ll be talking about Lawrence’s relation to T.S. Eliot – they were contemporaries, had many mutual friends, read each other’s work (Eliot even published Lawrence in a magazine he edited), corresponded, but apparently never met… or did they?! You’ll have to come to the conference to find out! EI: What is your current country of interest and why? SM: I would have to say ‘Malaysia’, obviously primarily because that is where I’m working now, but also because it is such a fascinating, dynamic and complex place – both in its social and political situation, and more specifically in terms of the way it is really in so many ways a kind of laboratory or index for key trends in TNE amongst developing nations and in Asia Pacific – you really do feel, here, as if you’re involved in working out what the best ‘next steps’ for TNE might be. The University of Nottingham Malaysia Campus (UNMC) is still very young, but its establishment and development is actually continuous with Malaysia’s own repositioning and emergence as an international Higher Education hub, so it’s also the case that I view UNMC as a sort of test tube in which a variety of TNE experiments are taking place – this whole phase of TNE, I should add, can be seen as a sequence of experiments concerned with how best to respond to what British Council colleagues usefully categorized as the ‘Megatrends’ driving HE globally. EI: What is your biggest challenge? SM: Balance! I’ve been privileged to be involved in the building of a really interesting and energetic school – the School of Modern Languages and Cultures, which covers everything from media and communications, politics, some literary study, modern languages (Korean, Japanese, Mandarin, Spanish, French and German – and now some Bahasa Malaysia! ), to translation and interpreting. Quite apart from developing the teaching, learning and research in these areas, colleagues in the school have been at the forefront of growing, in the broadest sense, ‘culture’ at UNMC – most recently in a huge production of The Mikado which took place at Kuala Lumpur Performing Arts Centre (KLPAC – a great theatre space), and involved some 130 students and staff! Along with the Knowledge Without Borders Network, and all the myriad things that come up on a day to day basis on an international campus, it’s easy to overlook important other things – family, food, sleep, and so on. So I often need to step back and get Mrs Matthews to remind me about keeping my priorities balanced. EI: What keeps you up at night? SM: Sometimes it’s Janni (Age 5) or Danni (Age 3), but most often it’s reading. There’s generally very little quiet time through the day, because of all the tasks and endless interruptions. Especially when it comes to fiction, you need to concentrate properly and have a decent commitment of time in order properly to immerse in the text and its working. So my bed starts to look like it’s walled in with books, and sometimes I do wish I could pull up a drawbridge and stay there a bit longer! EI: What’s your guilty pleasure? SM: Ha! There are a number of things I’m not at liberty to reveal (though I could mention a – to me – improbably affection for a Bon Jovi tribute band that plays regularly in KL! ), but probably the one most of my friends and colleagues find most difficult to understand is my attachment to the Royal Commonwealth Society (Malaysian Branch)! I’ll be happy to show any visitors to Malaysia around the RCS so you can judge for yourselves. We’ve actually even used the clubhouse for a few academic events, because it’s in a good location, has a lovely terrace and garden, and a very friendly, relaxed ambience, very unlike some of the institutional or hotel venues where events most often take place. Sean Matthews joined the School of English at the University of Nottingham, UK, in 2005, as the Director of the D. H. Lawrence Research Centre, having previously worked at the University of East Anglia (Norwich, UK), the University of Aberystwyth (Wales), UCLA (Los Angeles), and Kyushu University (Japan). He has worked closely with the British Council for many years, including sitting on the Arts Advisory Panel, chairing the ‘Oxford Conference’ on Language and Literature on three occasions, and both touring with writers and lecturing on contemporary fiction, particularly in Romania, Bulgaria and Hungary. 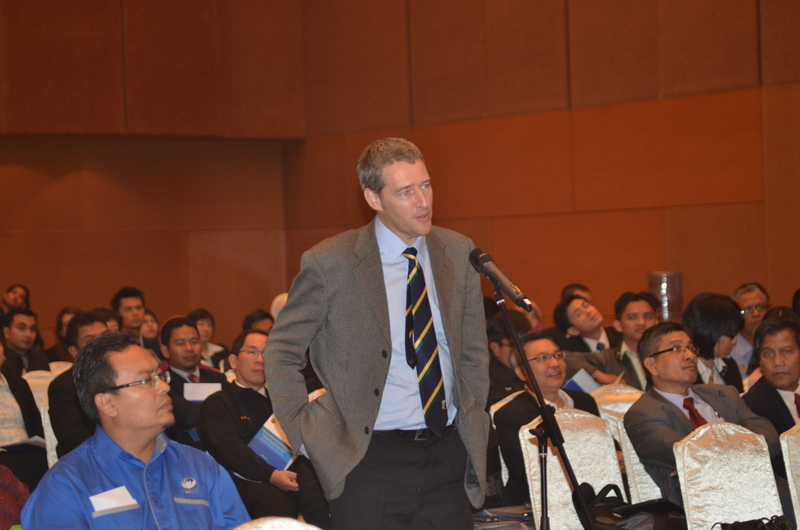 In 2010, Sean was seconded to the University of Nottingham Malaysia Campus as Head of School of Modern Languages and Cultures. In 2011/12, he was awarded the University’s prestigious Dearing Fellowship to coordinate, promote and develop work in internationalization/TNE, the primary outcome of which is the Knowledge Without Borders Network, which aims to bring together colleagues from across Nottingham’s three campuses, and beyond, to explore issues in TNE.